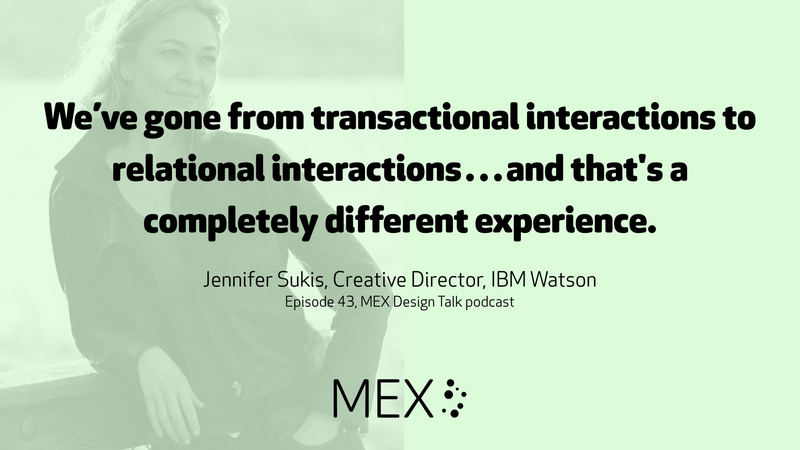 Jennifer Sukis is working at the intersection of user-centred design and artificial intelligence, leading the creative team for IBM Watson. 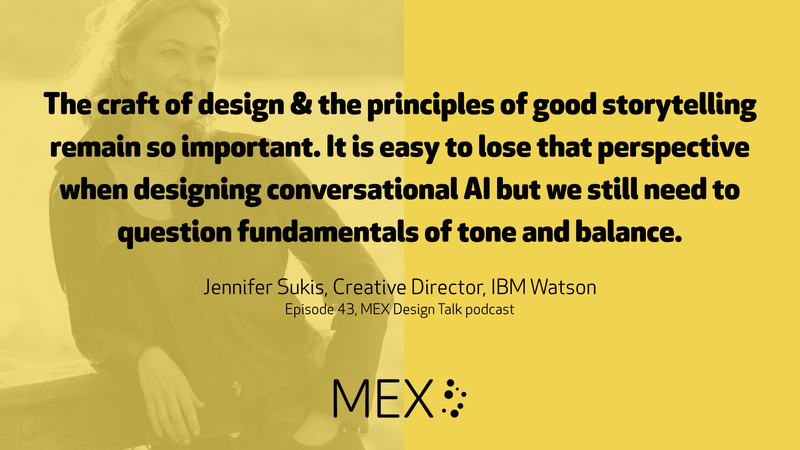 She talks to MEX founder Marek Pawlowski about when truly cognitive digital experiences may arrive, the challenges of developing dynamic interfaces and the future of conversational interfaces. The discussion includes Jennifer’s path into the world of design, what she looks for when hiring designers for her team at IBM and touches on the potential for quantum computing. Get in touch with feedback and questions @mexfeed on Twitter or email designtalk@mobileuserexperience.com. Our next MEX dining club will be in London on 30th January 2018. Get in touch if you’d like an invite – it’s a relaxed dinner talking about experience design with fellow pioneers.